Staying with us in the 2019 April School Holidays? We have activities for the adults and the children. 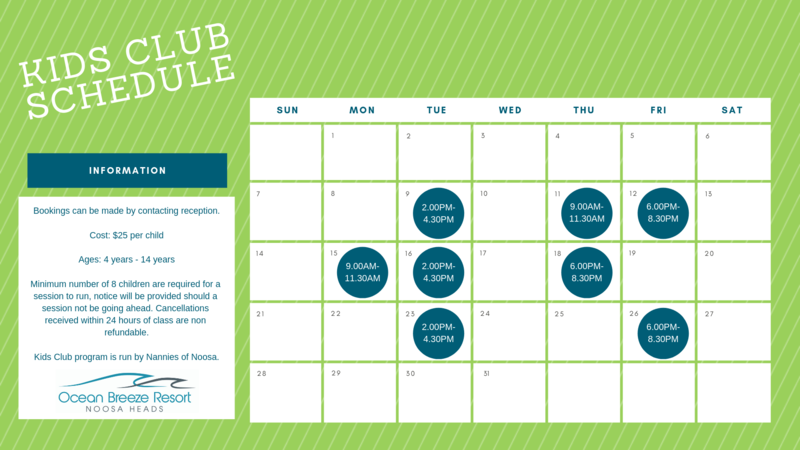 Book the kids into our Kids Club Program which includes movie nights and Easter activities. 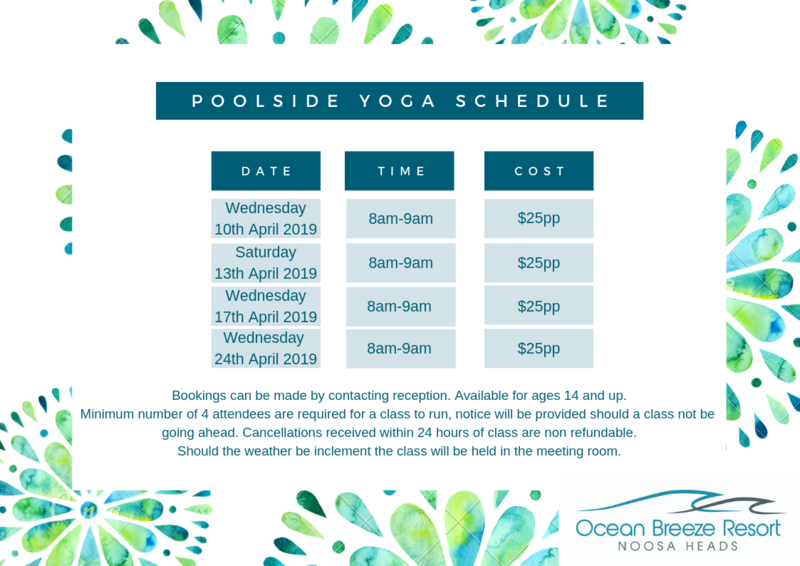 While adults can enjoy twice weekly morning poolside Yoga. For bookings please contact reception on 07 5447 4977. Available for children 4-14 year old. $25 per session per person. Available for 14 year old and up.